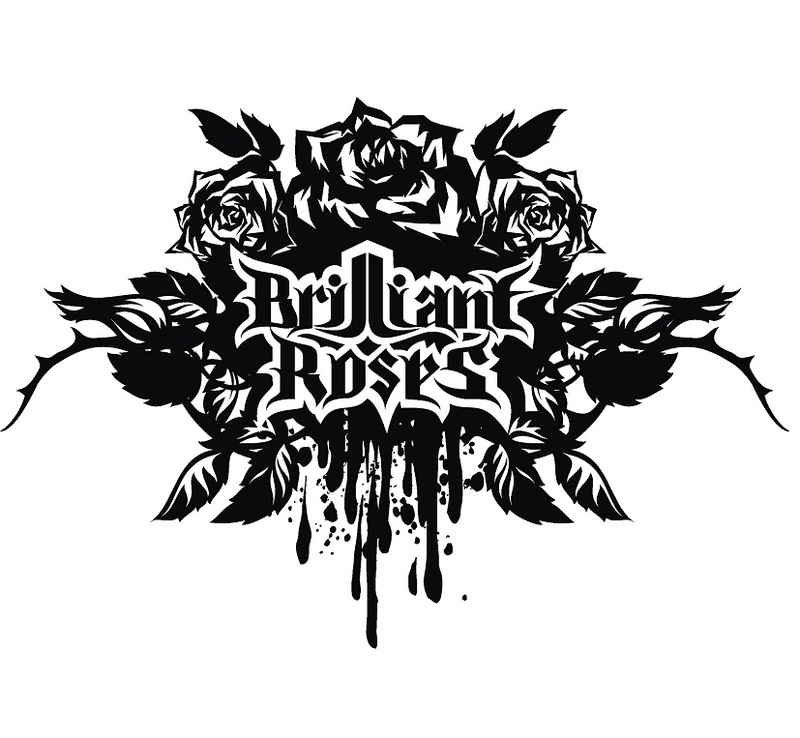 Brilliant Roses – a spacecore group. Was founded in 2010. In summer 2010 Damon Alley White announced the intake of musicians into a promising project. A young guitarist Jessy Rain responded to this announcement. After a life audition Damon realized that he needed a more experienced guitarist and dismissed his candidature, but in spite of this, he saw the guy’s desire to play music and suggested him to raise the level and to meet a month later, if Damon didn’t find a musician. Damon continued searching, but in the end he didn’t meet any sensible candidate for the guitar leader position. A month later he met Jessy again and Damon auditioned him once more, his playing had improved, Damon’s internal sensation prompted that he found a like-minded person, and he began to work with Jessy. Only some time later Jessy discovered his scream skills. Guys started playing, developing and decided to conquer the world through thick and thin! Composing new songs, their life was changing seriously. They understood that they wouldn’t win the hearts of millions of future listeners with ordinary compositions and that the most important in songs was the soul. A question on the name rose in the group, finally, after long disputes, they decided to be called When I Was an Angel. Many things happened to the guys during the time of writing of the material and during the musicians’ searching, which was reflected in their songs. Disagreements between Damon and Jess in spirits for songs and their parties started to appear with increasing frequency. After a talk about what was going on, they agreed that it would be better to throw all emotions to writing and performing of songs, and not to each other, which resulted in their cohesion and good mutual understanding. In the middle of the autumn 2010 the musicians’ searching began. During the following year the membership changed several times. Damon and Jessy remained permanent participants. Almost a year later after dozens of life auditions the team was complete! Then the group began to develop the material. At the rehearsals the team began to notice the distance of the drummer with increasing frequency. The group tried to put him on the right way, asked to kick the evil life habit. Several months later a suggestion to change the name appeared, because the previous one was very long and rather hard for memorizing. Soon an idea to record the first single appeared. On the threshold of recording a condition was put for the drummer: either he got serious and accumulated the level of playing, or the guys would find a session drummer, but only for recording, and then they would continue to play together. Several days before the recording of drums Ilay decided to leave the group. The group experienced this with great difficulty, and the date of recording was postponed. Damon found a session drummer Pavel Mosin (drums, session), the meeting with whom became fatal later. The guys started to work in the studio. After recording the guitars and drums they decided to change the scene and found another studio. On the threshold of recording of his party Jared announced his retirement. The bass recording was postponed. Jessy called me (tells Damon) and asked if I could come down because he had driven up. Well, I came out straight in slippers, I remember it was summer, and sat into his ride. And he said: “Do you know the news?” I answered: “Are you about Jared?” Jess: “Well, yes.” Jessy’s face reflected that he felt anger and disappointment at the same time, inside of me there was a feeling of resentment or misunderstanding, probably a person, whose family is falling to pieces, feels the same. You think that you know the person very well, and it turns out to be just a ghostly curtain of cruel reality. “Have you got any ideas?” – Jessy asked me. And I answered; “Well yes, to continue through thick and thin.” Then Jess said: “Damon, promise me that we will go this way through thick and thin. “ And I answered him: “I promise you, dude, but only under one condition… if you promise me the same.” Well, we shook hands and channeled off. At that moment I looked back, into the past, for a second, and understood that my feelings about a like-minded person hadn’t been casual. The two of guys remained. It seemed that the group was on the verge of disintegration, but those events just gingered their desire to release an album. In short terms Jessy learned and recorded the bass party. Inner emotions of the guys were reflected in the album energy, and it obtained a minor color with an incredible boost of energy and with an idea of aiming at you dream through thick and thin. During the mixing the group decided to call Pavel Mosin, who had helped them in recording, as a drummer. He agreed to work in sessions! The guys started practicing hard, preparing the program for future performances. Soon the Brilliant Roses group announced a competition for the place of the bass guitar. Due to the events, which had happened to the group earlier, the selection took place in a rather cold atmosphere. After auditions of hundreds of musicians, the members of the group selected Paul G. Tracy, who fitted the membership perfectly. So the group began a chain of performances with a new complete membership. Jared Lokken come back to band like bass-guitaris. And We find The Drummer Andy Dean. Now Brilliant Roses band have most powerful composition.